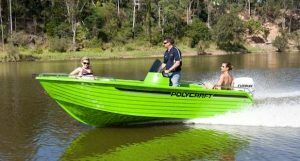 The boat can be driven either in the standing or seated position (optional seat and pedestal is required). 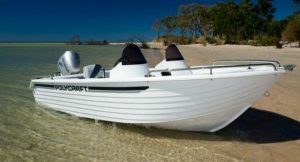 The Side Console itself has an appealing rounded design, built-in storage facilities and a user-friendly dash layout for electronics and gauges. 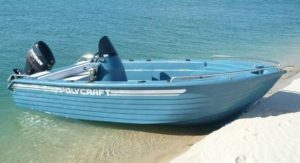 A 70 litre underfloor fuel tank provides more options for the offshore fisherman and is easily re-fuelled via the gunwale mounted fuel filler. 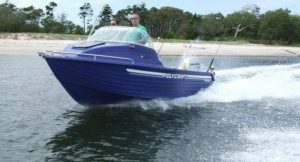 The 4.80 Brumby Frontrunner offers all the benefits of a bow rider, and is an excellent choice for the family and weekend boater.